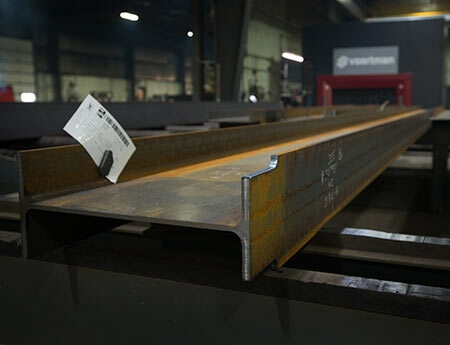 Quality coping with smooth cuts that are properly finished is critical when coping structural members. A poor-quality cope can create stress points that will weaken the structure over time. 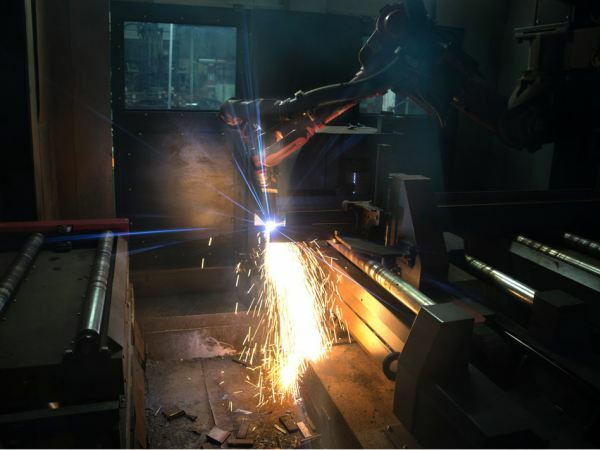 CMF utilizes the latest technology to efficiently produce high quality copes, avoiding the time and potential error that can come from hand coping. 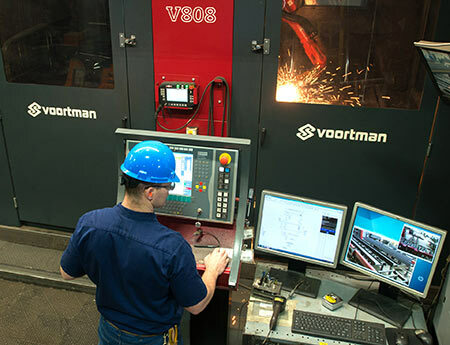 Our dual head, high definition plasma and oxy fuel coper can cut on four planes, utilizing an eight-axis robotic arm to ensure accurate cuts with broad capabilities. 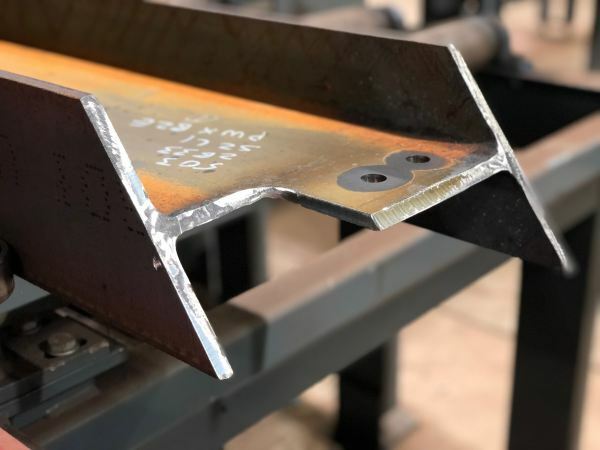 This includes copes, castellated beams, weld fits, slots, miters, bolt holes, notches, flush cuts, piece marks and layout marks all in one process. All this capability helps explain why our steel is Trusted to Fit. Flange and Web Copes, Castellated Beams, Slots, Miters, Bolt Holes, Notches, Weld Preps, Piece Marks and Layout Marks.